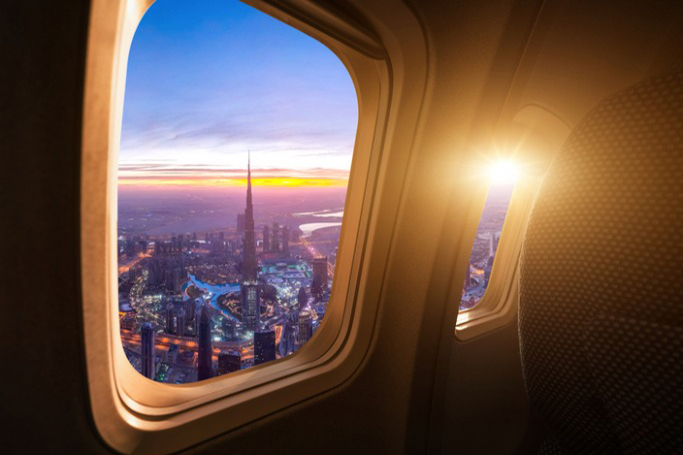 Not all of us are lucky enough to fly posh –although this doesn’t stop us from trying to get a cheeky upgrade to first class every time we fly –thus, we understand the feelings involved with a long haul economy flight. Is it three hours you need to be there, you wonder the day before? Or just two? You’re used to the shorter check-in time for a short haul flight, but missing this one would be serious. Checking in for long haul adds quite a wait to your journey but you want to be there with plenty of time to spare. After all, nobody wants that ‘checking your phone in the taxi’ feeling, watching the minutes tick by as you wonder if you’ll make the flight. Everyone has it at check-in – perhaps this will be the day that you’re told there are too many seats booked in economy and, ‘Would madam mind going in business class?’ You’ve even washed your hair and done your make-up in case it makes a difference. As they hand you your ‘ordinary’ boarding pass, you’re not too sad – after all, it was always a long shot, and there’s still the duty free to treat yourself. You had it all sorted – miniature toiletries to freshen up, some spare leggings and socks in case you didn’t get that upgrade, podcasts downloaded and a new book. Then you go to duty free and end up buying some perfume, five magazines and another book, along with a litre of water. Now it’s time to re-pack that hand luggage and hope the zip still does up. Long haul can have a certain excitement to it – you’re off on an adventure, there will be films to watch, you wonder what the meal options will be. But it’s always tinged with a note of nerves: Will you be sat next to a fidgeter, or crying baby? What if you’re in the middle of a row of four and can’t get out to use the loo when you need to? Will your legs cramp up halfway to the other side of the world? Even if you’re in economy, there’s a lovely ritual to settling into your seat. Putting your magazine or book into the seat pocket, scanning the pages of the in-flight magazine and putting on those bed socks. You read plenty of articles on how to survive a long haul flight – and the resounding piece of advice was to stay hydrated. You look at the bottle of water you bought sitting by your feet as you ask for a beverage, then another beverage with dinner. Hey, you’ve got hours to sleep it off, right? #7 Should you sleep or stay awake? Two films and a chicken casserole in, and now your eyelids are starting to droop. Should you sleep? If it’s night time in the place you’ve just left, does that mean you should sleep the same as you would if you were at home? There’s half an hour to go, so out comes that guide book. You turn the screen in front of you on, to show the video of the path of the plane towards your destination. You might even use that little in-flight bag of toiletries to freshen up before landing.